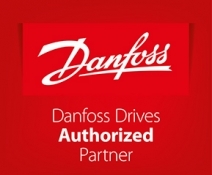 Danfoss VLT Drives help K2 Drives' customers to control any AC motor-powered system easily and efficiently. We can provide a quick and easy solution for upgrading your ageing inverters with minimum downtime. Whatever the industry K2 can help: HVAC, Food, Beverage, Waste to power and Aggregates. about products, trust and partnership. Are you forced into a bundled, motor-dependent solution or are you offered a motor-independent, best-in-class drive for uncompromising performance and energy efficiency? Does your drives supplier openly share insights and knowledge that will support you in reaching you applications’ productivity and energy efficiency targets? Is your drives supplier a reliable business partner who fully understands your business and cares about your success? Do they solve your problems with innovative and cost effective solutions? K2 Drives believe in giving you the edge, and going the extra mile.